Is Roberto Martinez the new Pep Guardiola? 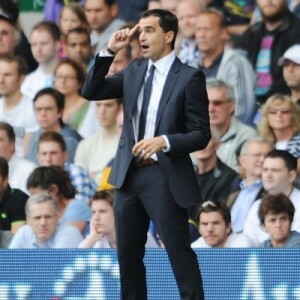 Wigan manager Roberto Martinez has been tipped by many pundits to be successful at the very highest level. Martinez has won many admirers with his cool calculated approach to management, firstly at Swansea City and more recently at Wigan. He is still only 38, but he has already guided Swansea to promotion and secured a seventh season for Latics in the Premier League. A fluent speaker of both Spanish and English, he has an extensive knowledge of european football and his calm persona seems well suited to managing a top team in the Champions League. The similarities between the current FC Barcelona manager Josep ‘Pep’ Guardiola and Roberto ‘Bobby’ Martinez are significant. Both players were born in the early 1970’s in Spain, Guardiola spent his playing career as a defensive midfielder with Barcelona while Martinez began his football career with CF Balaguer and Zaragoza before moving to play Wigan in 1995 as one of the groundbreaking three amigos. Although Roberto has had a successful playing and management career at Wigan and Swansea, his achievements are currently dwarfed by the incredible achievements of Pep. Pep achieved playing success at Barca winning the European Cup in Johan Cruyff’s dream team, before playing abroad in Italy, Qatar and Mexico. 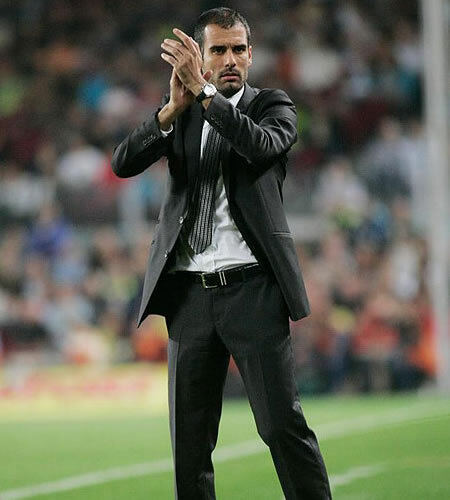 After retiring as a player he became coach of Barcelona B before taking up the reins as first team coach in June 2008. In his first season as manager he won the treble of La Liga, the Copa del Rey and the Champions League. In doing so Guardiola became the youngest UEFA Champions League winning manager ever. The following season he won the Spanish Super cup, the UEFA Super cup and the World Club Championship bringing the manager’s tally to six major trophies in one year. Last season Barcelona won the European Champions league and La Liga once again, it is safe to say that Guardiola is currently the best manager in world football. Despite the contrast in the scale of Pep’s and Roberto’s achievements so far, they both share very similar footballing beliefs and their teams play the same type of football. Both managers believe in possession football – Barcelona have taken passing to a new level, but you can also see the same slick interplays between the players at Wigan. The calibre of player at Barca may be superior but Wigan have some excellent young players coming through the ranks and under Roberto’s tutelage they will no doubt go onto play for the top teams. Under Guardiola and Martinez their respective teams are very disciplined with a focus on retaining possession. They adopt a pressing style when they do not have the ball, which in Barca’s case is not very often. Barca have the metronomic ‘tiki-taka’ passing of Xavi and Andrés Iniesta but Latics have some promising young midfielders in James McCarthy and Mohammed Diame who retain possession while also getting from box to box. Some will say that Roberto is not proven at the very highest level, but he has only been at the DW stadium for two seasons and he is still one of the youngest managers in the Premier League. As Wigan battled to save their Premier League status last season he was surely the calmest manager of those in trouble and he always stuck to his footballing beliefs. When he has had to deal with difficult players his man management skills have been exemplary. Pep is at one of the biggest clubs in the world, with excellent resources and a dynasty of great players at his disposal. Roberto’s team is a work in progress and it will take a few more years for his ideas to fully take root and for the younger players to develop into established Premier League stars. Aston Villa identified Roberto as one of the best young managers around, but he turned them down to complete his project at Wigan. It was typical of the man then when he signed a new contract at Latics he requested the purchase of the training ground as a top priority, so that he could have the best facilities to develop his plans. Like Pep, Roberto lives and breathes football, in fact his dedication to the game is verging on the obsessive. He spends his relaxation time watching football and he is a regular expert on Spanish football on TV. Ultimately Roberto will manage a top English or Spanish club, I just hope he stays long enough at Wigan to establish a footballing dynasty which will thrive for many years to come. This entry was posted in Barcelona, Pep Guardiola, Roberto Martinez, Wigan Athletic and tagged Barcelona, Johan Cruyff, Pep Guardiola, Roberto Martinez, UEFA Champions League, Wigan Athletic. Bookmark the permalink.